ROCKVILLE, Va.—On August 27, the International Mission Board (IMB) trustees, meeting at the IMB International Learning Center in Virginia, announced the election of author and pastor David Platt to serve as the new IMB president. Platt, 36, who serves as pastor of The Church at Brook Hills, a Southern Baptist congregation in Birmingham, Ala., will take office effective immediately and follows retiring IMB President Tom Elliff who is a former Oklahoma pastor and previous SBC president. The reactions to the selection of Platt, author of bestselling books “Radical” and “Follow Me,” were widespread and immediate, including through social media circles, as well as among Southern Baptist leaders. Praise of Platt came from many notable SBC leaders, including Russell D. Moore, president of the Ethics & Religious Liberty Commission and Daniel Akin, president of Southeastern Seminary. According to the last Annual Church Profile report in 2007, the church had undesignated receipts of $7,068,727 of which they gave $24,996 through the Cooperative Program. That amount remained constant during his pastorate. Platt succeeds Elliff, 70, who has served as IMB president since March 2011. Elliff and his wife Jeannie plan to return to their home state, Oklahoma. 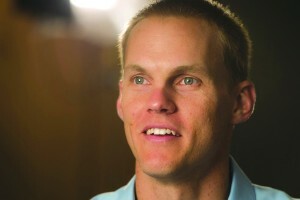 In an interview, with Baptist Press, Platt said God had done a unique work in his life over the past 12 to 18 months. Platt spoke about his hopes to influence people to multiply the involvement of local Southern Baptist churches for missions in a way that glorifies God and His Word. For IMB missionaries overseas, Platt said, “I just (want) to say to you, more than anything, that the vision of the IMB remains the same: a multitude from every language, people, tribe and nation knowing and worshipping our Lord Jesus Christ. The Platts are natives of Atlanta. He received two bachelor of arts degrees from the University of Georgia in Athens and master of divinity, master of theology and doctor of philosophy degrees from New Orleans Seminary. Before becoming pastor at Brook Hills, he served as an assistant professor of expository preaching and apologetics at New Orleans seminary and as staff evangelist at New Orleans, La., Edgewater.